Governor Reynolds signs the bill at the Des Moines Air Guard base. Governor Kim Reynolds signed a bill into law today designed to help military families. “The first thing that it does is it expands the availability of the Injured Veterans Grant Program funding and services to families of military service members who are injured in the line of duty. It also allows a network of support when our heroes need it most,” Reynolds said. The bill also helps military spouses transfer their professional licenses when assignments change and they have to move. 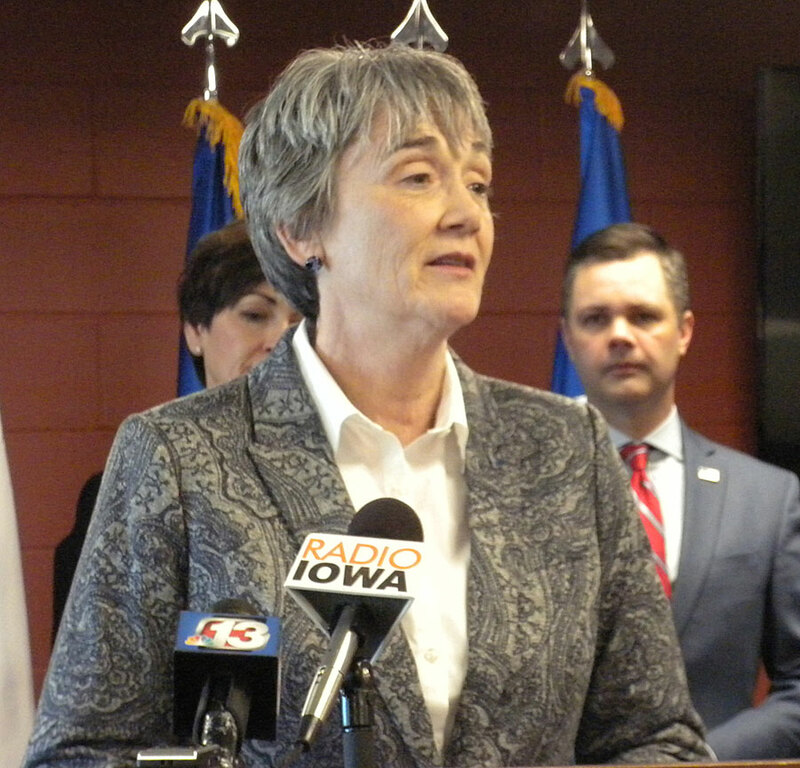 United States Air Force Secretary Heather Wilson joined the governor for the bill signing. United States Air Force Secretary Heather Wilson. “More and more jobs in America require some kind of professional licensure. And when families move a lot in the military — being able to have your spouse able to quickly get back to work and to continue their professional lives, is important for our families,” Wilson said. Wilson said this is an issue for all branches of the military. “Whether your spouse is a financial planner, a health care professional, or a teacher or a real estate agent, or an accountant, or even a lawyer — we very much appreciate the support of the people of the state of Iowa and their representatives for making this new law happen,” Wilson said. U.S. 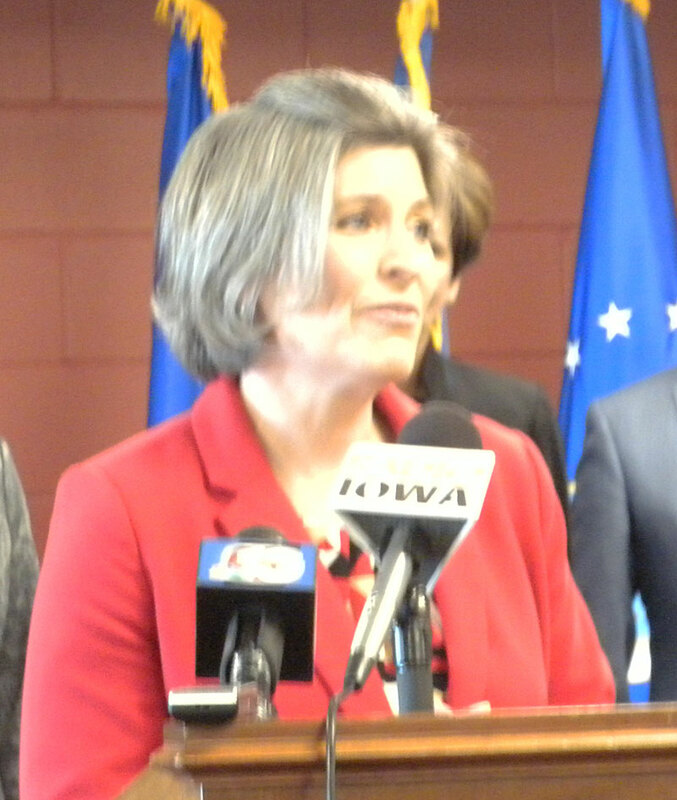 Senator Joni Ernst was also at this morning’s event. She said as a veteran, she knows firsthand what families go through when they have to move every couple of years. Ernst suggested Iowa’s bill could be used as a model for the rest of the country. 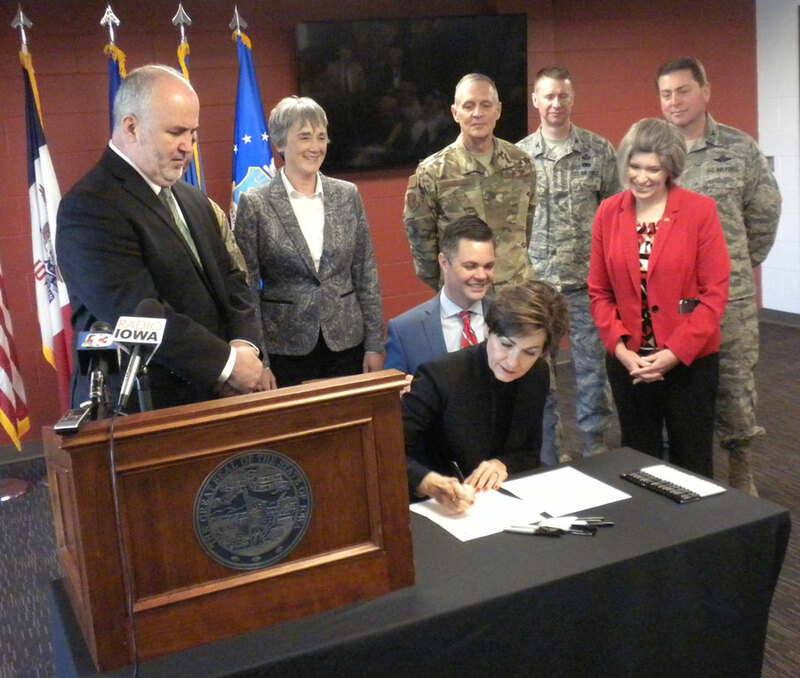 The governor signed the bill at the Iowa Air National Guard Base in Des Moines.